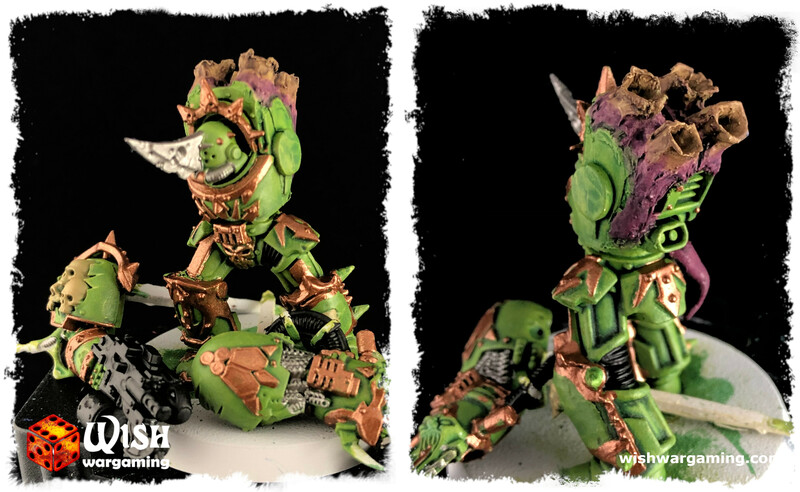 this time I want to show you my progress of work on Death Guard Lord mini. 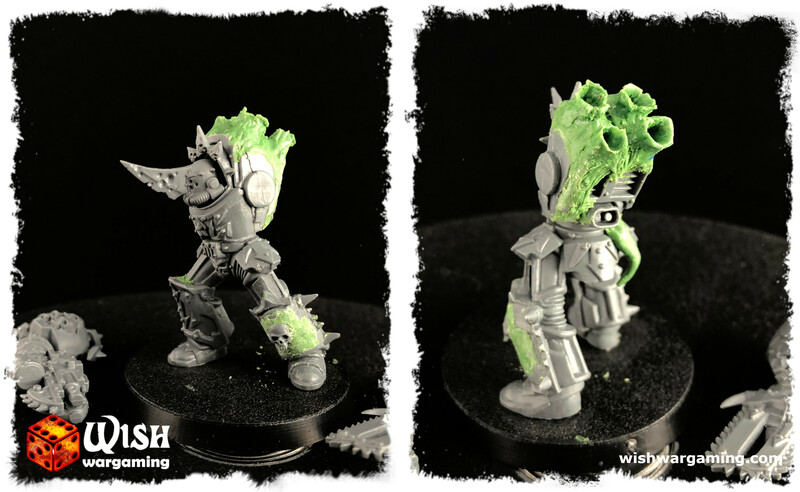 I took standard Chaos Lord model boxed set and converted it using arms and shoulderpads from Blightlords set and Lord of Contagion head. Then, using green stuff, I modeled organic exhausts coming out of the armor, which fit well into Nurgle theme. After priming with Corax White spray I used my standard Death Guard scheme with Elysian Green and Biel-tan Green Shade followed with Balthasar Gold for ornaments and Khorne red for details. I have already around 80% done so it will be finished thorugh weekend for sure, but it looks good already at this point. 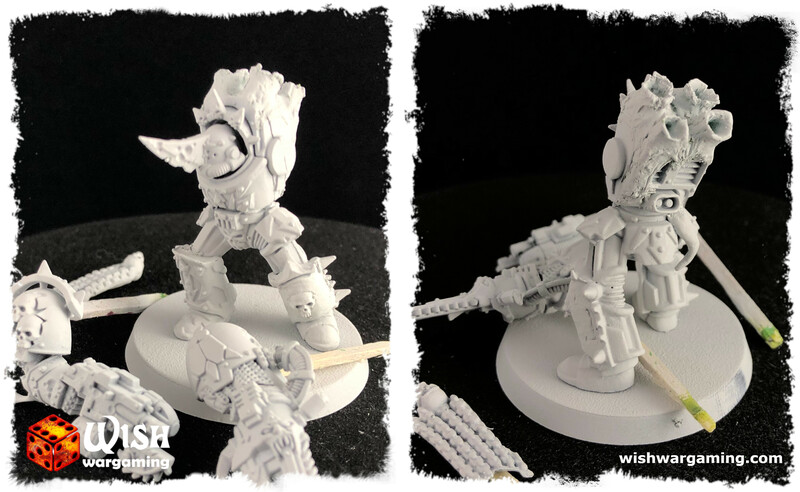 Take a look and judge for yourself – I’ll be happy to get your opinion on this mini! 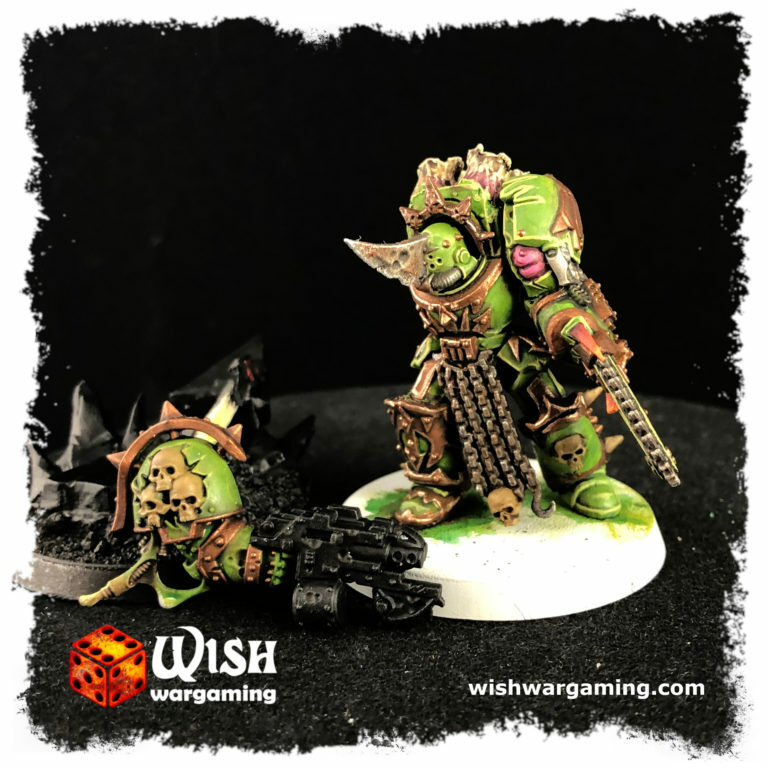 If you like my blog and you want to receive all updates from WishWargaming.com please follow me on Facebook, Instagram, Twitter, Pinterest or Youtube. Feel free also to leave comments or questions below.